Please view the Church’s calendar for the specific date of each service. Sunday Divine Services are at 8:00 am and 11:00 am. Holy Communion is celebrated every Sunday at both services. Thursday Divine Service is at 7:00 pm at Our Savior Lutheran Church. * Note: Soup Suppers (free will offering) are offered at 6:00 pm before Wednesday services. 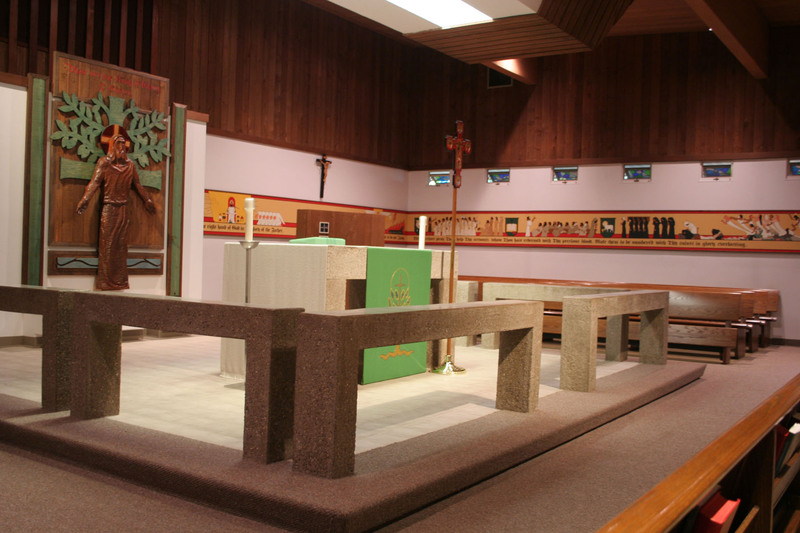 A pastor is available in the Church for Private Confession and Absolution every Thursday from 6 pm to 6:30 pm. If another time is needed, please call the church office at 616-949-0710. Reverence and Quiet before the service. Please don’t consider Our Savior Church members unfriendly because of their lack of conversation before services. The time prior to services has always been set aside to prepare to hear God’s Word and receive the blessed Sacrament of the Altar. Our members are encouraged to arrive early and to spend time preparing for the Divine Service by marking their hymnal, reading the lessons, and praying. Immediately after the service ends (right after the closing hymn or Benediction) is the time to joyfully converse with one another. The Sign of the Cross. Many members follow Martin Luther’s recommendation to make the sign of the cross as the name of the Holy Trinity is spoken, as a Benediction is given, when receiving the body and blood of Christ, and at other times. The cross is signed to remember— Jesus died to forgive me.